The Dress to Impress storefront has closed, but we can still help you sell your clothes! Send a picture of what you want to sell to dress2impress.sandiego@gmail.com and we'll get started. Thank you to everyone for the past years of fun with fashion! D2I opened in 1989 with the hopes of being the best. We've achieved our goal and are now proudly serving many repeat customers. Our customers look to us for great quality and incredible service. We deliver on these expectations every time. With a taste toward individualism and sophistication, Dress to Impress remains San Diego's best consignment store for women's clothing and fashion accessories. 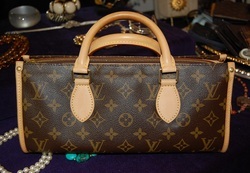 Catering to a wide array of savvy and smart fashionistas who consign their incredible gently-worn items with names we all know and love, such as Chanel, Louis Vuitton, Gucci, Prada, Coach, St. John, Brighton, and many more, to fit the tastes and trends for all age groups and style preferences. 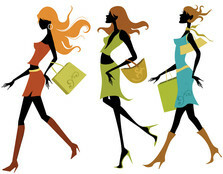 Our selection of high fashion clothes at discounted prices is constantly being refreshed and revitalized, making each visit a unique experience. Currently, we also pay cash for some items. Our talented and knowledgeable staff make your shopping adventure fun, satisfying, and pressure free. You will be glad you came!